Seton's Minute Parking Signs are backed by our 100% Satisfaction Guarantee! Select from a wide variety of Minute Parking Signs at competitive prices. 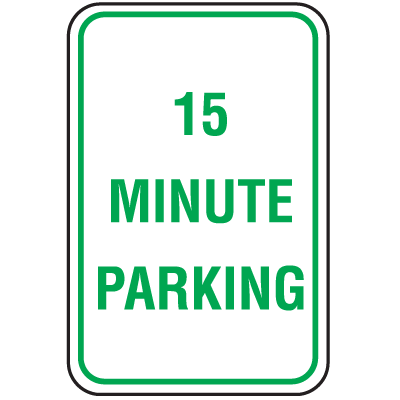 Plus most of our top-quality Minute Parking Signs are in stock and ready to ship today. With flexpost signpost helps to eliminate damage to parking lot surfaces while protecting vehicles from unnecessary damage. Takes minutes to install with no special tools required.